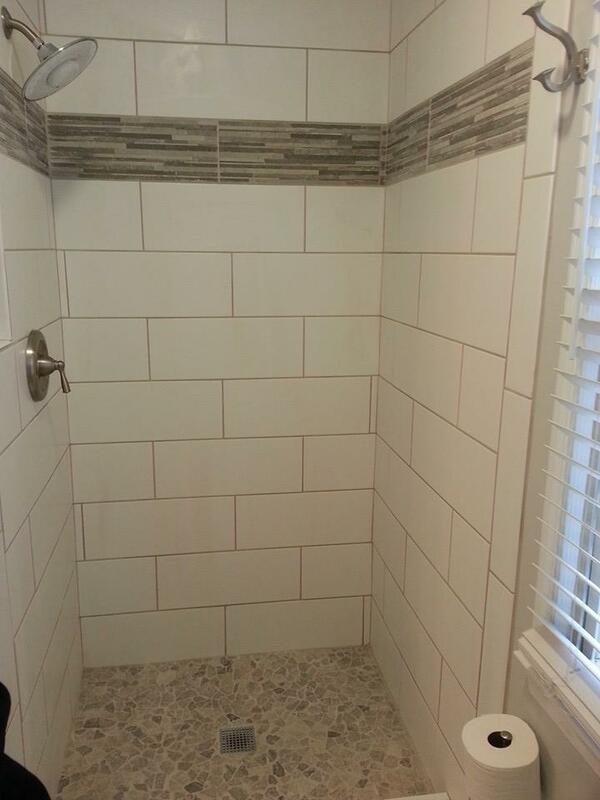 Bathroom remodel in Springfield Virginia. Modern shower wall tiles, white, large, rectangular. Ultra nice small mosaic stone shower floor, a pleasure to stand on and look at. Glass decorative tile band.